We tend to think that we are familiar with waste because we deal with it every day. Yet, this is not the case–most aspects of waste are entirely hidden from view and understanding. Discard studies is central to thinking through and countering the initiative and familiar aspects of waste. As more attention in popular, policy, activist, engineering and research areas is being focused on waste, it becomes crucial for the humanities and social sciences to contextualize the problems, materialities and systems that are not readily apparent to the invested but casual observer. Our task is to trouble the assumptions, premises and popular mythologies of waste. We redefine the problem of waste and pollution as the material externalities of complex systems so solutions can address these wider systems, rather than fall to technological or moral fixes what deal with symptoms rather than origins of problems, or, in worse case scenarios, misrecognize the problem entirely. The vast majority of popular attention to trash is focused on the waste we see in our bins: household and municipal solid waste (MSW). Yet, MSW accounts for between one and three percent of all waste. 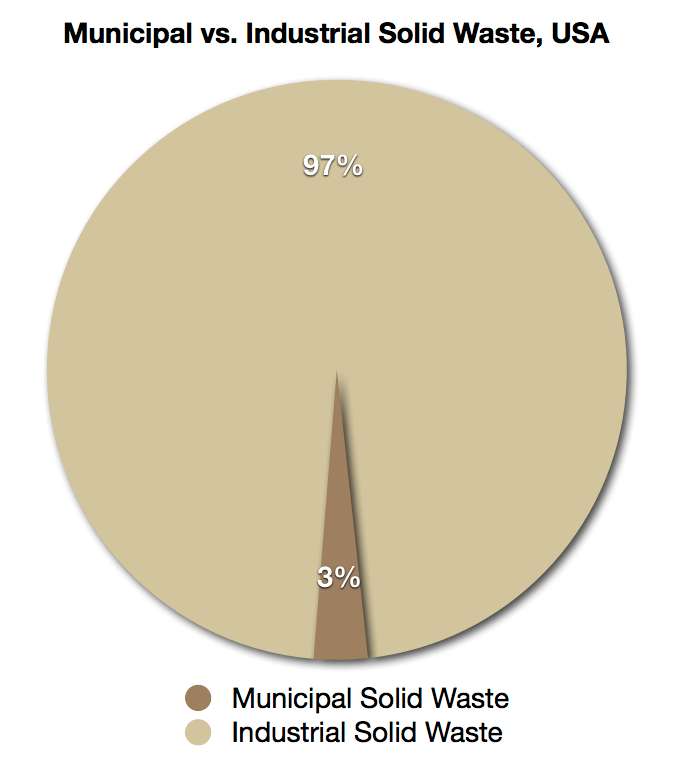 Most waste is industrial (O’Brien 2008). Scholars are increasing looking at industrialization, capitalism, and global economies as engines of waste. Some research focuses mainly on industrial wastes and the scale, toxicity, longevity, and complexity of the stuff as a new, modern genre of materiality (eg. Sandlos and Keeling 2013). Others look at how economies necessitate waste (e.g. Horton 1997), or focus on how externalizing wastes is a conscious business plan (e.g. Robertson 2011, Faber 2008). These later studies tie municipal solid waste to industrial solid waste as an extension of the same system into domestic and civic spaces (Liboiron 2013). A symptom of mistaking household or MSW for waste-in-general is the relationship you often see popular mythologies about individual versus industrial loci for action against pollution or waste generation. 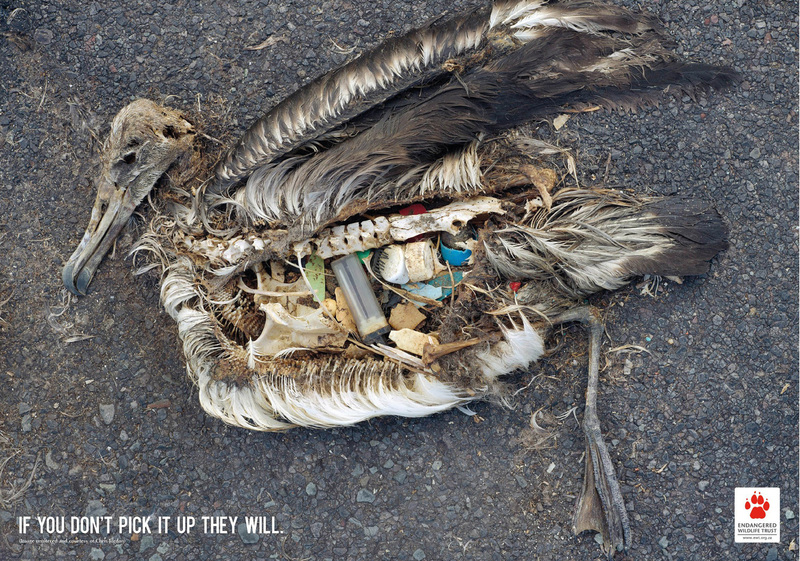 Below is an image of campaign poster with the byline: “If you don’t pick it up, they will.” If you don’t pick up plastics, the birds will. It’s an anti-litter campaign. Yet, ocean plastics do not come from litter (Sadri and Thompson 2014). Most ocean plastics escape from infrastructure, because that’s what plastics are good at. They’re very light, very durable. They leave aquaculture, industrial factories, landfills, bins, transfer stations, and cargo ships. Ten to twenty percent of ocean plastics are pre-production pellets, the raw stock that plastic objects are made from that escape straight from industry before they even become a consumer good (e.g. Turner and Holmes 2011). Individual choices about waste do not in fact impact systems of waste. This is a scale argument. Sustainability and the good intentions of environmentalism are often hijacked through this scalar mismatch and the mis-recognition of waste-in-general as municipal solid waste and individual behavior (e.g. Dauvergne 2008). The systematization of this mismatch by industry is what lured me into discard studies to begin with–the thesis in Frank Ackerman’s Why do we Recycle (1997) that recycling is not an environmental good, but a damage control plan by industry that allows disposability to continue by rebranding discarded items recyclable. Samantha MacBride’s book Recycling Reconsidered provides firm evidence for this system (2011, also see Liboiron 2010). Another popular myth is the inherent wastefulness of people. Yet, the inherent wastefulness of people started in 1930 following a particular business decision (Liboiron 2013, Packard 1960). People had to be taught how to waste. Susan Strasser talks about this in her classic book, Waste and Want (1999). She writes about how soldiers rioted in train stations because they would not use the new disposable cup rather than the traditional tin cup for water. She documents problems with tampons and disposable sanitary napkins. More recently, Jesse Goldstein’s work on the shift of the meaning of “waste” from something useful to something underused shows this trend in a longer history (2012). He chronicles the use of the term during enclosure in England during the 16th century, a process which ends traditional rights such as mowing meadows for hay, or grazing livestock on common land formerly held in the open field system. Once enclosed, these uses of the land become restricted to the owner, and it ceases to be land for commons. Before enclosures, the common land was called the wasteland, and was considered productive. Yet the wasteland was unproductive for rising industries, and wastelands became those that were not been used to fullest potential. Forgetting such histories and their origins in systems outside of individual behaviors or leads to things like Scalan’s philosophical work On Garbage (2005) or Humes’ more popular Garbology (2012), where the premise is that wasting and wastefulness is a part of the human condition or poor choices rather than a fairly recent phenomenon that comes from industry. These politics, where the source of trash is misaligned with individuals, is also present in measurements. While designed to account for population and its relationship to waste to compare different waste contexts, per capita waste measurement implies that people generate waste: “The average American produces 102 tons of garbage across a lifetime.” One of the main tasks of discard studies is to analyze the origins and premises of these kinds of discourses, make their politics clear, and move the conversation forward in a way that takes history and systems into account. Not all waste is created equal. Samantha MacBride writes that unlike wastes before the industrial revolution, “modern wastes are synthetic, unpredictable, and above all heterogeneous” (174: 2012). They can be toxic, long lasting, and made of complex, often unknown, components. These materialities matter because they dictate how waste travels through environments and economies, whether and how it is dangerous or causes harm, and the sorts of systems and politics they are entangled in. For example, it can make sense to group disposable plastics with nuclear waste if we are thinking about longevity, because both materials exist in geological time and will outlast the human species. The ethos of most waste management is containment: interring waste in landfills or repositories. If there something lasts in geological time, then this ethos of containment is fundamentally troubled. Containment become temporary compared to the things they are containing. In “Sink: the Dirt of Systems,” Jennifer Gabrys (2009) talks about how sinks that contain waste are also spills. Making the Geologic Now (2013) highlights the increased presence of geological realities in everyday life, including types of waste. In addition to the materiality of the waste itself, studies are emerging on the material aspects of waste infrastructure, such as the transportation systems for Superfund site clean ups (Rust and Drange 2014), global e-waste circulation patterns (Lepawsky 2014), or the shuffling of nuclear waste (Smudge Studio 2012). These researchers are zooming out to look at wider systems of waste and wasting, which have implications for the everyday minutia of trash as well as large scale, long-term, material-social arrangements that make modern waste possible. Fort McMurray, Alberta, Canada,” 2007. Trash, waste, remainders, pollution, and discards are phases in the life of a thing. Like Arjun Apparduri’s Social Lives of Things, they are categorizations that leads to certain types of circulation based on specific notions of value. Much of discard studies looks at how things move into this phase (e.g. Evans 2012), how they move out again (e.g. Crang et al 2013 ), and also looks at objects, their circulation, politics, and affiliates during this phase (e.g. Nagle 2013). These are hidden realities of day-to-day waste. While the “discard” in discard studies is a verb (to discard, to externalize materials), a noun (the waste, rubbish, or dirt itself), most importantly it also names the system that make these activities and objects possible. Policy makers, activists, students, and the general public are very interested in trash. But it is difficult to know the intricate, nuanced, scaled aspects of waste if you come to it from everyday experience. One cannot understand waste intuitively. As Coverly et al point out in “Hidden Mountain” (2008), it is not only material waste that is invisible and hidden, but also the infrastructures, economics, social norms and other seemingly innocuous or unrelated systems. Our chief task is to redefine waste, scale it up, make these system apparent. How a problem is defined makes some actions seem inevitable and sensible, while others are left unexamined. These are the stakes of discard studies. Ackerman, Frank. Why Do We Recycle: Markets, Values, and Public Policy. Island Press, 1997. Appadurai, Arjun. The Social Life of Things: Commodities in Cultural Perspective. Cambridge University Press, 1988. Coverly, Edd de, Pierre McDonagh, Lisa O’Malley, and Maurice Patterson. “Hidden Mountain The Social Avoidance of Waste.” Journal of Macromarketing 28, no. 3 (September 1, 2008): 289–303. Dauvergne, Peter. The Shadows of Consumption. MIT Press, 2008. Evans, David. “Binning, Gifting and Recovery: The Conduits of Disposal in Household Food Consumption.” Environment and Planning D: Society and Space 30, no. 6 (2012): 1123–37. Faber, Daniel. Capitalizing on Environmental Injustice: The Polluter-Industrial Complex in the Age of Globalization. Rowman & Littlefield Publishers, 2008. Gabrys, Jennifer. “Sink: The Dirt of Systems.” Environment and Planning D: Society and Space 27, no. 4 (2009): 666–81. Goldstein, Jesse. “Terra Economica: Waste and the Production of Enclosed Nature.” Antipode 45, no. 2 (March 1, 2013): 357–75. Horton, Stephen. “Value, Waste and the Built Environment: A Marxian Analysis.” Capitalism Nature Socialism 8, no. 2 (1997): 127–39. Humes, Edward. Garbology: Our Dirty Love Affair with Trash. Penguin, 2012. Lepawsky, Josh. “The Changing Geography of Global Trade in Electronic Discards: Time to Rethink the E-Waste Problem: The Changing Geography of Global Trade in Electronic Discards.” The Geographical Journal, April 2014. Liboiron, Max. “Modern Waste as Strategy.” Lo Squaderno: Explorations in Space and Society 29 (2013): 9–12. ———. “Recycling as a Crisis of Meaning.” E-Topia: Canadian Journal of Cultural Studies, Intersections Conference Journal, 2010, 1–9. LIFE. 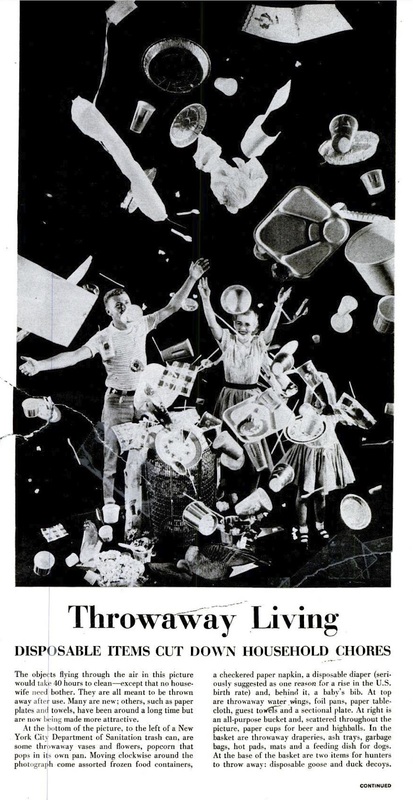 “Throwaway Living.” LIFE Magazine, August 1, 1955. MacBride, Samantha. Recycling Reconsidered: The Present Failure and Future Promise of Environmental Action in the United States. MIT Press, 2011. Nagle, Robin. Picking Up: On the Streets and Behind the Trucks with the Sanitation Workers of New York City. Macmillan, 2013. O’Brien, Martin. A Crisis of Waste? : Understanding the Rubbish Society. Routledge, 2012. Packard, Vance. The Waste Makers. Vance Packard Inc., 1960. Robertson, Morgan. “Measurement and Alienation: Making a World of Ecosystem Services.” Transactions of the Institute of British Geographers 37, no. 3 (July 1, 2012): 386–401. Royte, Elizabeth. Garbage Land: On the Secret Trail of Trash. Hachette Digital, Inc., 2007. Rust, Susanne, and Matt Drange. 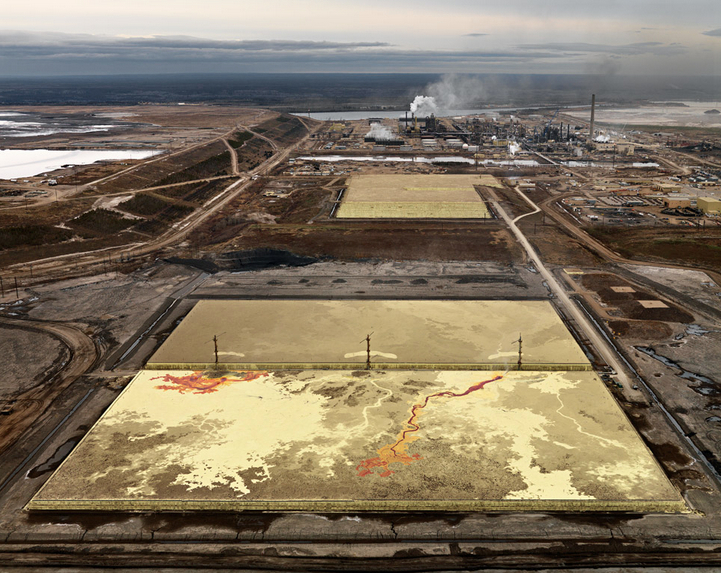 “Toxic Trail: How a Landmark Cleanup Program Leaves Its Own Toxic Legacy.” The Guardian. http://www.theguardian.com/environment/ng-interactive/2014/mar/-sp-toxic-waste-silicon-valley-trail. Sadri, Saeed S., and Richard C. Thompson. “On the Quantity and Composition of Floating Plastic Debris Entering and Leaving the Tamar Estuary, Southwest England.” Marine Pollution Bulletin 81, no. 1 (April 15, 2014): 55–60. Sandlos, John, and Arn Keeling. “Zombie Mines and the (Over)burden of History.” The Solutions Journal 4, no. 3 (June 2013). Scanlan, John. On Garbage. Reaktion Books, 2005. Smudge Studio. Repository: A Typological Guide to America’s Ephemeral Nuclear Infrastructure. Card deck, June 28, 2012. Strasser, Susan. Waste and Want: A Social History of Trash. Macmillan, 1999. Turner, Andrew, and Luke Holmes. “Occurrence, Distribution and Characteristics of Beached Plastic Production Pellets on the Island of Malta (central Mediterranean).” Marine Pollution Bulletin 62, no. 2 (February 2011): 377–81. U.S. Environmental Protection Agency. Draft Final Report: Screening Survey of Industrial Subtitle D Establishments. Rockville, MD: Westat, 1987. This entry was posted in Consumption, history, Methods, Recycling, Waste and tagged critical scholarship, Discard, discard studies, Municipal solid waste, waste studies. Bookmark the permalink. Max, this is _great_. I wonder if the counterpart to the problem statement, as you so clearly describe it, is an action plan for industry and business. Or at least for policy activists if you believe business is cynical and purely destructive.